Andrew Hughes thinks Everton can earn a point in Sunday's Merseyside derby and help to land another weekend multiple in the process. Liverpool are strong favourites going into the 232nd Merseyside derby, but I think the visitors are capable of earning a point in what is likely to be a scrappy encounter. 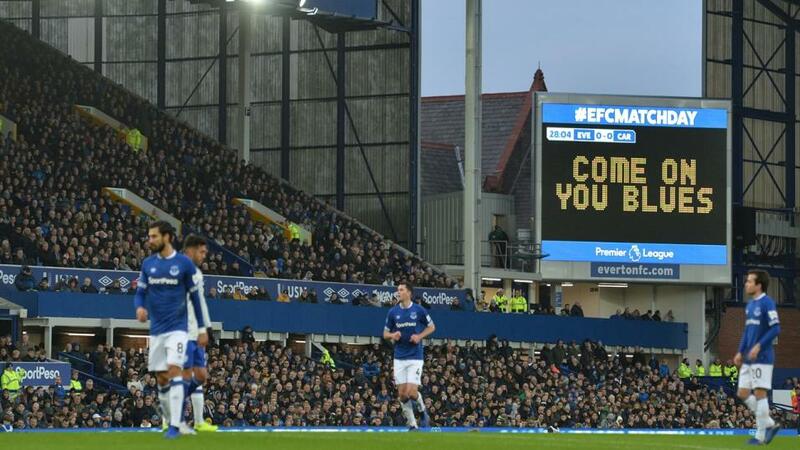 Marco Silva's side are improving steadily, and although, as Mark O'Haire points out, Everton have a poor record against top teams, they moved into the top six with their win against Cardiff last time, and have won five of their last seven. The Toffees will also be taking on a Liverpool side that are not at their fluent best. The Reds were poor in their crucial midweek Champions League game, managing only one shot on target in Paris, and currently their defence looks more impressive than their famous forward line. Recent Merseyside derbies have tended to be low-scoring and the draw looks good value at these odds. With the NFL play-offs looming, American Football fans have plenty of betting action to get stuck into in December, and Mike Carlson's Week 13 Tipsheet has all the information you need ahead of the weekend's big games. Chicago Bears have been the surprise package of the season so far. They go into this weekend on top of the NFC North with a healthy lead over the Minnesota Vikings, and an ideal opportunity to extend that lead against the woeful New York Giants. The Bears will have to cope without Mitchell Trubisky, but Chase Daniel is a solid replacement, and the Chicago defence should enjoy themselves against a declining Eli Manning. Back the Bears for the win. Widely tipped as NBA Finals contenders pre-season, things haven't gone according to plan for the Boston Celtics this season, and they go into this game against the Timberwolves with a disappointing 11-10 record. But there's no reason for Celtics fans to panic. The reintegration of Gordon Hayward and Kyrie Irving has taken longer to implement than expected, but three wins in their last four, including convincing victories over Cleveland and New Orleans, suggest that things are coming together. Minnesota have won their last four, but none of those victories came against play-off contenders, and while the addition of Robert Covington and Dario Saric has increased their shooting threat, without Jimmy Butler they lack the dynamic talent required to trouble the Celtics. Back Boston to pick up another win. Total Odds for this multiple: [15.6] Remember, multiple prices are based on our Sportsbook product, so any winnings are exempt from commission.